Mi Chunche: WATER! Never take for granted life's basic necessities..
WATER! Never take for granted life's basic necessities.. This is day five without water in our little town of Atenas! Last Friday night high winds knocked over a tree that broke the water main and the support below. The break is located over a local river and the only access is through a couple of farms on either side of the river. We currently have about 16,000 residents without water. 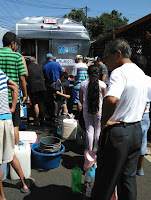 The national water company, AyA, has been delivering potable water to the various neighborhoods via tanker trucks with 4 or 5 spigots on the back end of the truck to fill multiple containers at once. Folks are toting water in every conceivable container they can find. I've seen 2 liter Coke bottles, buckets, pitchers, barrels and even trash cans lined with plastic bags. 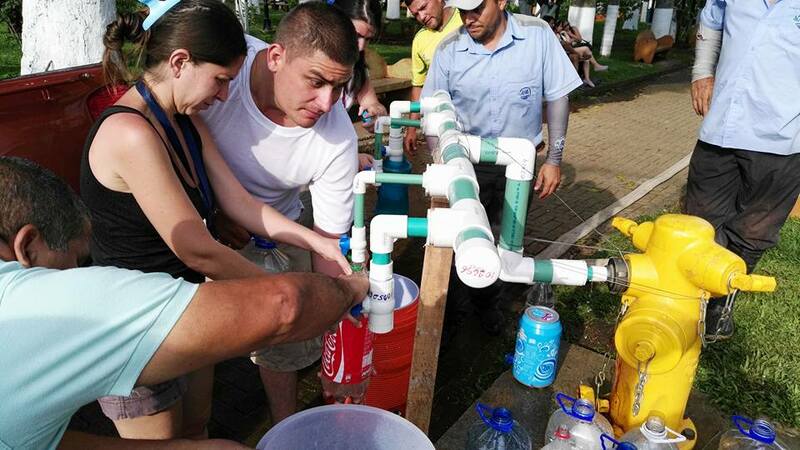 There is also a new well in the central park where folks can go to get fresh water from 7 AM until 10 PM. We are one of the lucky ones. We don’t have a well, but we decided to install a 660 gallon water storage tank when we built our house back in 2011. City water feeds our storage tank so we are always circulating fresh water through the tank. We’ve had a few water shortages over the past few years, but never anything that lasted more than a day, so we’ve hardly ever needed to ration water. This time, however, the situation is severe. In 2014, we installed a saltwater pool, without knowing how handy it would become in an emergency like the one we face today. 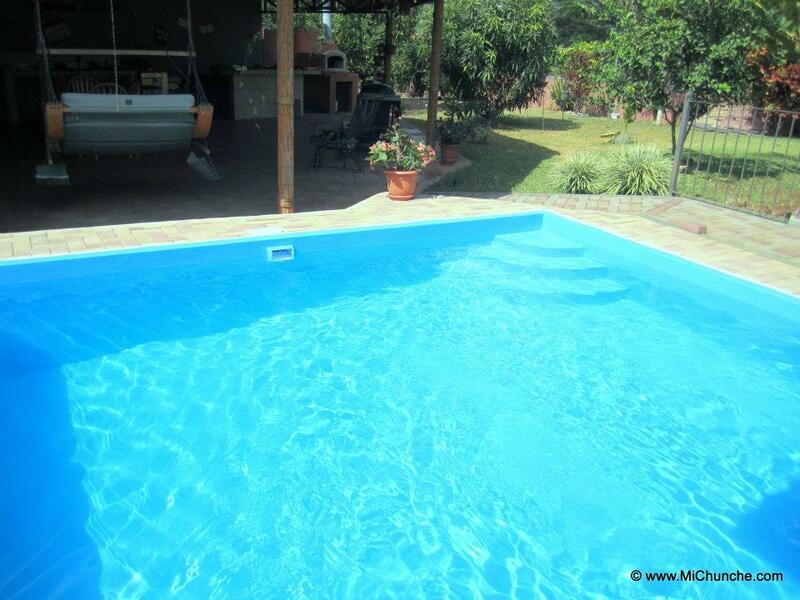 We have been able to use pool water for flushing toilets, washing dishes, and even bathing (without soap of course). 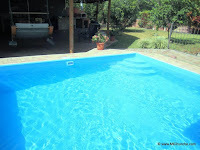 On the bright side, we are in the middle of our rainy season, so the pool is getting re-filled with rainwater daily. The water is circulated through the pool’s filtration system every day, so it is always fresh. 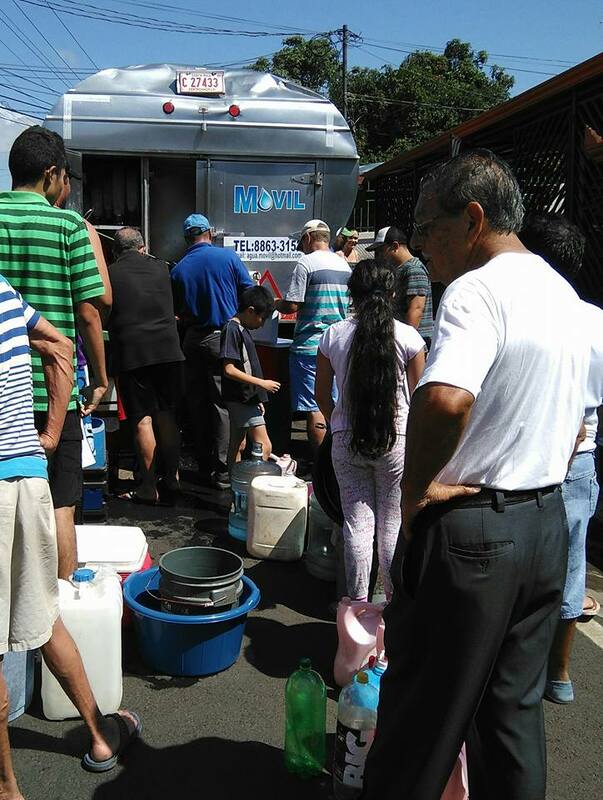 We’ve invited some of our neighbors over to fill buckets with pool water for their toilets, and they are getting their fresh drinking water from the daily tanker truck deliveries. In spite of the dark clouds above us, there is one silver lining... 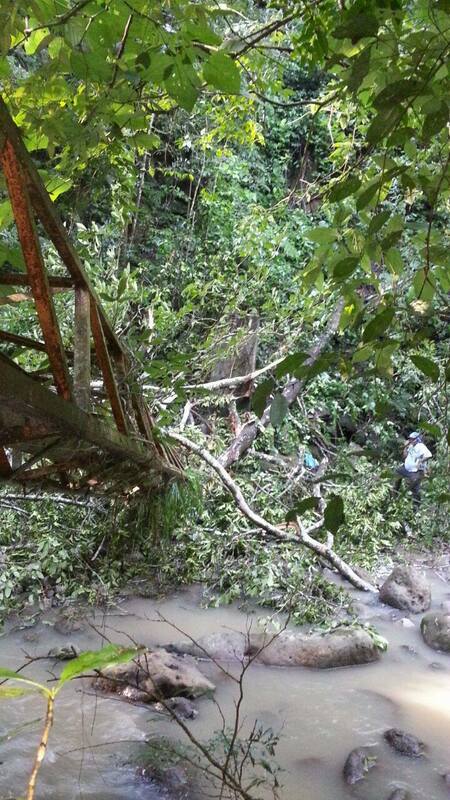 The affected schools are closed due to sanitation issues and the kids are on an unexpected holiday. There was an article in today’s paper quoting our local mayor, and he said we may not have city water until Thursday of next week. That's 8 days from now, so it looks like we will be rationing water in the coming days, until this situation is resolved. Never take water, one of life's most basic necessities, for granted! As usual, you guys thought ahead and were in a position to be prepared. Hate to hear this, for the town, though. I turn 59 this month, 3 more years until retirement. I plan to come back, before then, to look around some more. Atenas is still the best place, in my book.